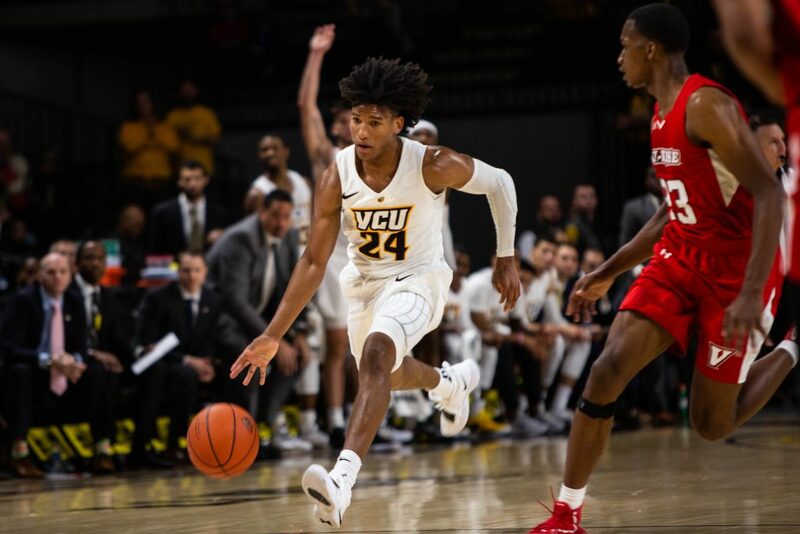 Most teams in the NCAA do not give freshman players a lot of playing time, but Men’s Basketball uses the roster’s three freshmen as another piece of coach Mike Rhoades’ “army” on the bench. This season, the Rams have used an average of about 12 players a game this season, rotating many pieces from the bench. They have used all 14 players in a game three times this season. Freshman forward Vince Williams and freshman guards P.J. Byrd and KeShawn Curry have all impacted the game when stepping on the floor this season. 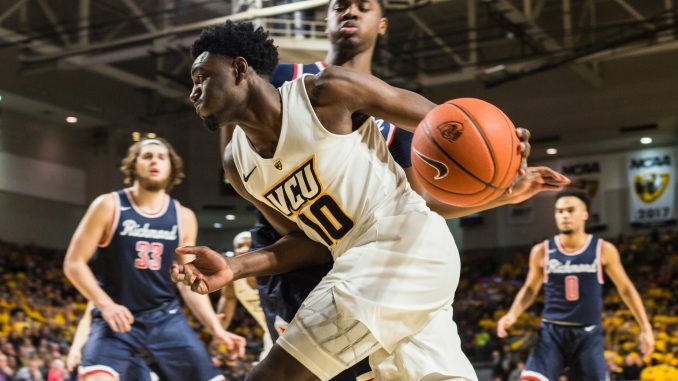 In the first half against Richmond Feb. 13, Williams drove toward the basket on the baseline and rose up, slamming the ball down with two hands. 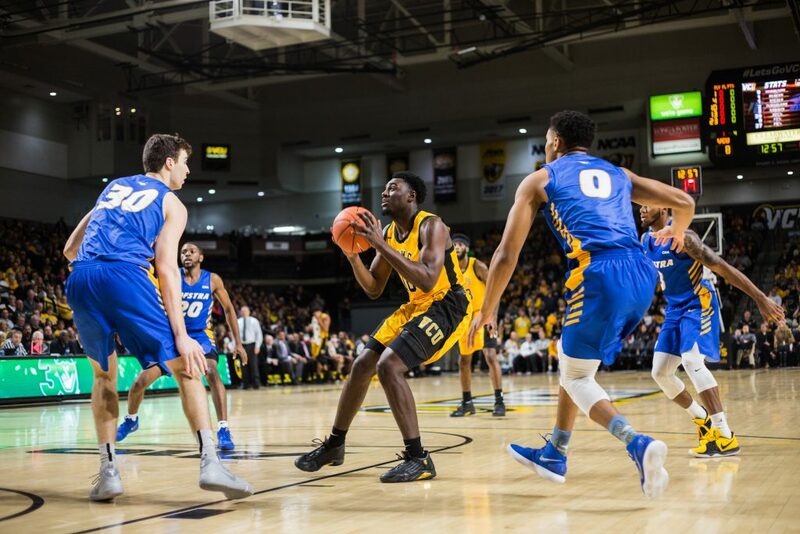 The dunk brought the Siegel Center crowd to its feet and the building was electric for the rest of the night. 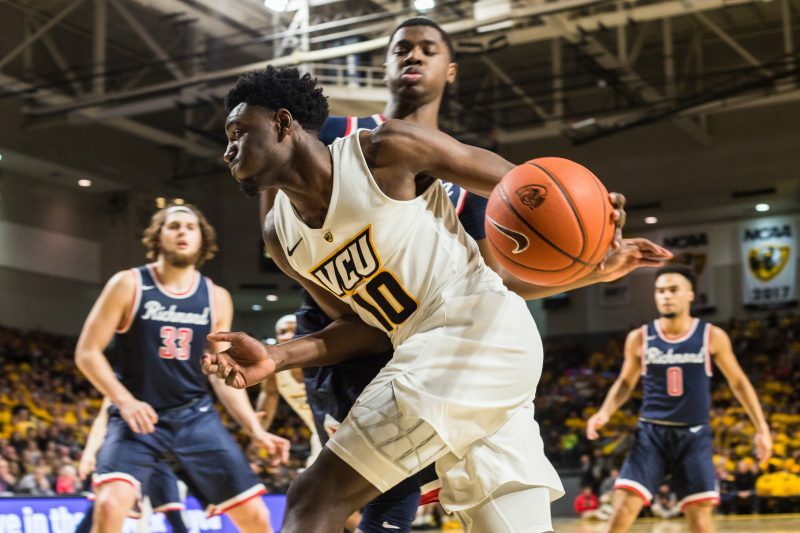 “Vince just make plays that don’t show up on stat sheets and box scores,” redshirt-junior forward Issac Vann said after the game against Richmond. Williams also had an open look at three from the right wing and drained it against the Spiders, in addition to recording two blocks. The Toledo, Ohio, native called himself an “all-around player” that can play defense, pass and score. Williams has appeared in all 26 games for the Rams, averaging 14.7 minutes. In each appearance, he averages 4.9 points and 3.1 rebounds. Like Williams, Byrd has appeared in all 26 games for Men’s Basketball so far. 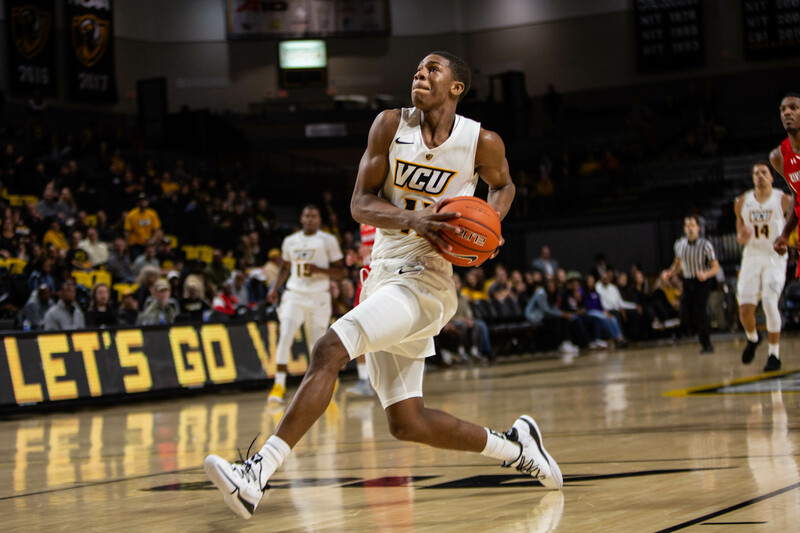 He proves to be a key player off the bench for the Rams this season as he comes off the bench to give redshirt-junior guard Marcus Evans a rest each night. Byrd averages 9.1 minutes while accounting for an average of 1.3 points a game. Byrd logged a career-high 5 points on three different occasions this season. He also recorded a career-high 20 minutes against Fordham Jan. 5. Rhoades said Byrd is “doing a better job off the ball screen” as he gains more experience this season. Curry has appeared in 13 of the 26 games this season for the Black and Gold, averaging 6.6 minutes. The guard is shooting 61 percent from the field. The Jacksonville, Florida, native impressed during the exhibition game against UVa-Wise Oct. 30, scoring a team-high 15 points in 15 minutes.